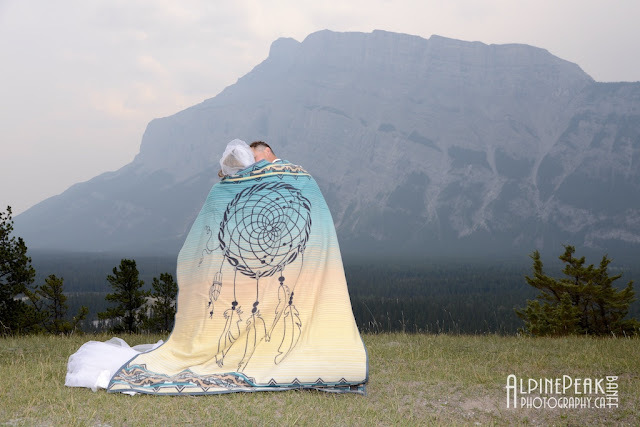 Eloping in Banff is Romantic! presented with a blanket, and for them to wrap themselves in it. as the married couple starts a new chapter in their lives. I particularly love this blanket as it features a dream catcher.